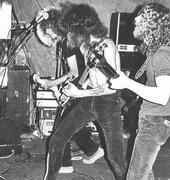 Archival NWOBHM sides from London circa 1979, when it meant something more to play glammy, intense metal because the world was just catching on, and the genre hadn’t been done to death. 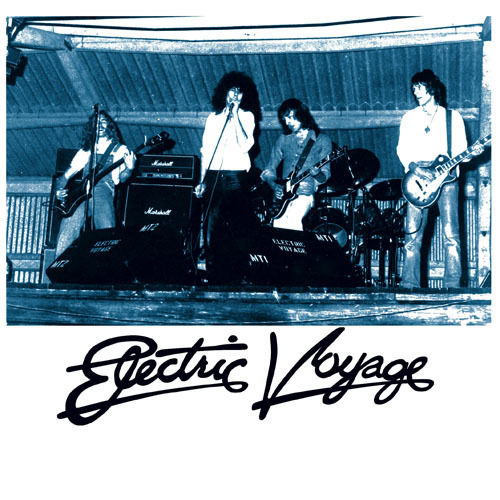 The fellows of Electric Voyage were clearly onto something — “Flight of No Return” has the reckless intensity and musical chops reminiscent of something you’d find in one of those early Rush albums fronted by Ozzy that only exist in your head, but compacted into a dense chunk of basement metal that blows minds now as it likely did back then. “Streetwalker” runs alongside the galloping tempos and fourth-gear charge of contemporaries like Maiden or Priest, with gigantic cascading guitars and the dead end justice needed to put this sound into the annals of rock history.